Happy Monday friends. 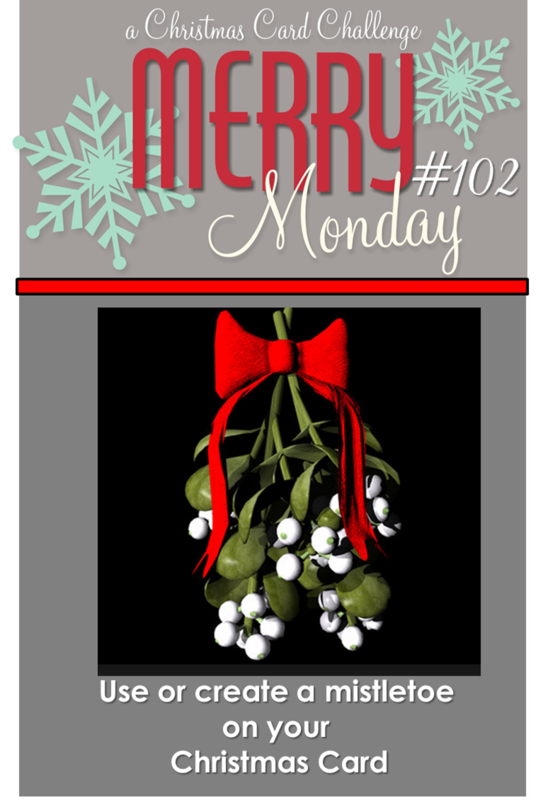 This week's Merry Monday challenge is to use Mistletoe on your Christmas card. 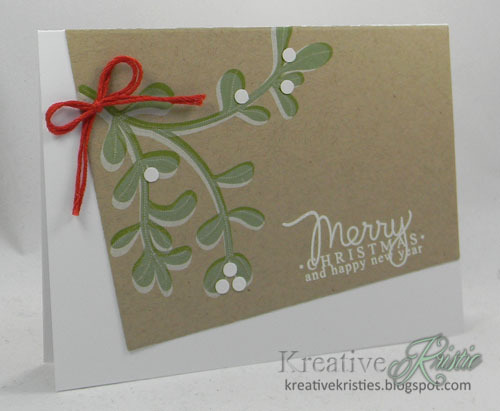 I used the Mistletoe and Holly set by Papertrey Ink. 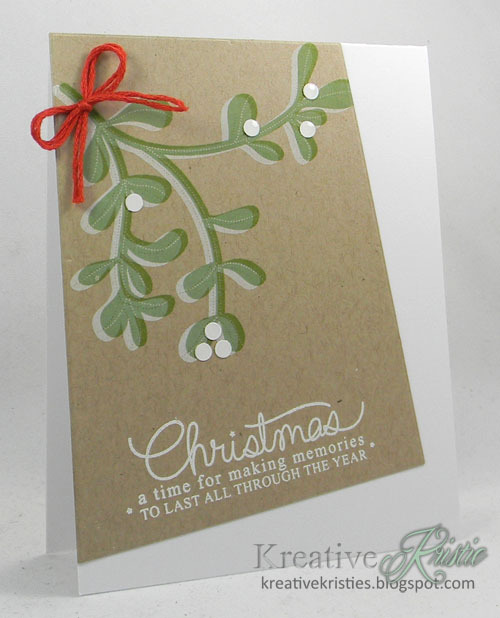 Love the ghost stamping technique and it was perfect for this mistletoe. For the berries I used a circle punch and added glossy accents over them for shine. Here is another one just for fun. While you are here, make sure you visit this post for a chance to win a 1- month subscription to StampNation. Today is also the day the 50% off coupon code for SN Members expires for the Online Card Class: Basics & Beyond. Not a SN member yet? Click here to learn more. Join today so you can grab your coupon code. You won't want to miss this deal. StampNation welcomes Some Odd Girl!!! Today is an exciting day at StampNation. We are introducing a new teacher to our Classroom, Kristy Dalman from Some Odd Girl. 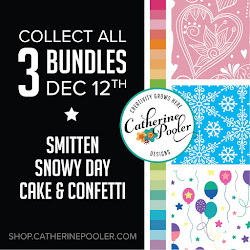 She will be doing exclusive coloring and Copic tutorials for our members and we couldn't be more excited. 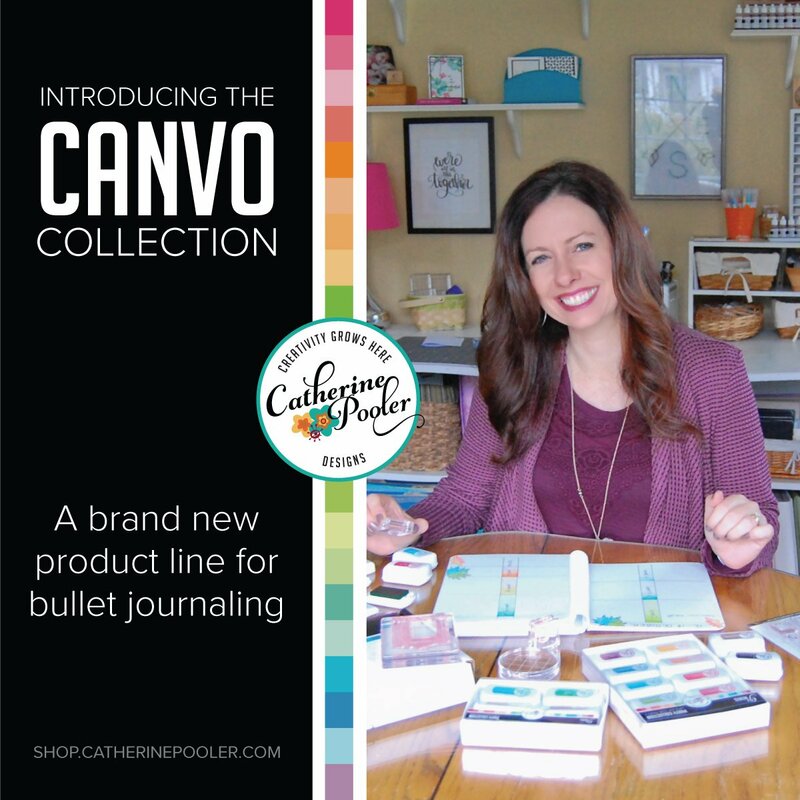 For the next FIVE weeks, every Friday, Kristy will be adding a new lesson to StampNation. After that, you will find a new lesson on the last Friday of every month. An expert colorist in residence? How awesome is THAT!? StampNation keeps getting better and better…. 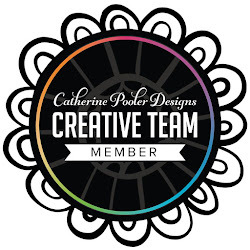 The SN Design Team is doing a blog hop to introduce and welcome Kristy to our team. Each of us have used a Some Odd Girl stamp set on our project. 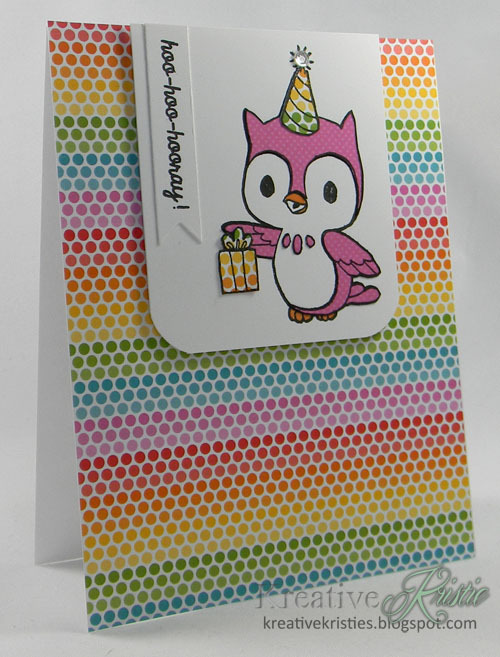 I used the adorable Owl-Days stamp set on my card. Paper piecing this owl was so much fun. We’ve hidden TWO 1- month subscriptions to StampNation along the hop…comment on each of the DT members blogs to be entered to win. Two winners will be announced on Monday, March 31. 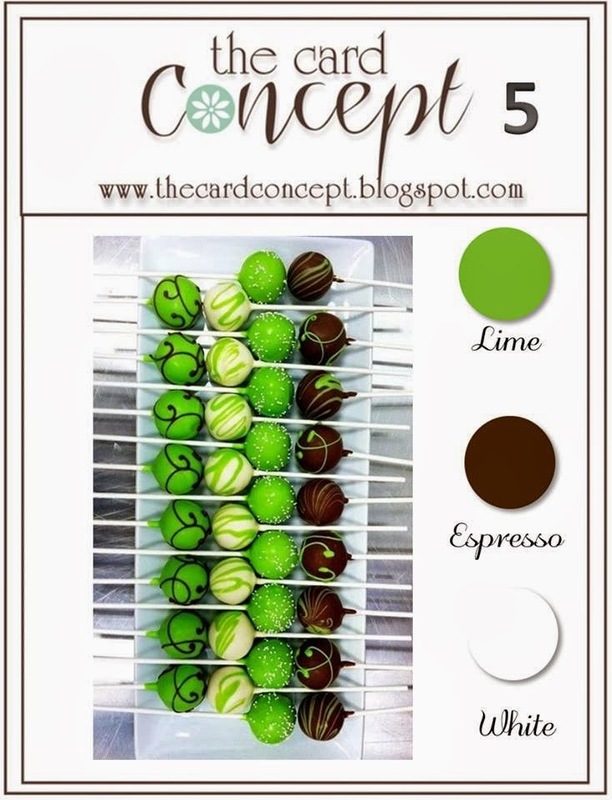 March 31st is also the day the coupon code for the Online Card Class: Basics and Beyond expires for members. 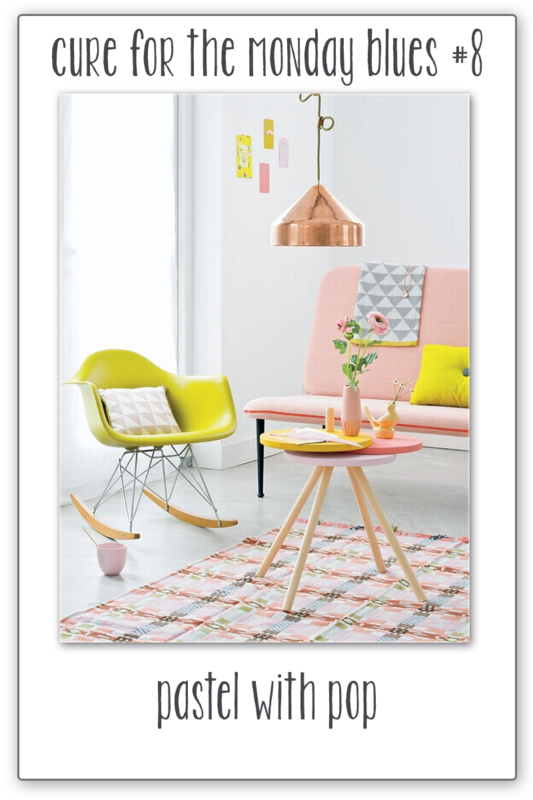 Become a member now to take advantage of this great offer. Thank you for visiting today, I can’t wait to keep celebrating with you at StampNation! Tomorrow, a new teacher is joining us on StampNation and we are having a party to celebrate! 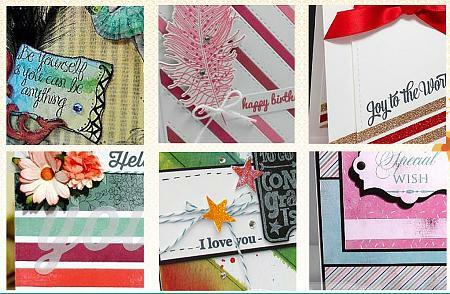 The Design Team will be participating in a blog hop tomorrow at 2pm EDT. Any guesses on who the teacher will be or what she will be teaching us? Make sure you come back tomorrow for the big reveal and for a chance to win prizes! Happy Monday friends! Time again for another Merry Monday challenge. Karren chose our challenge this week. I took my inspiration from the photo as well using the Wreath from the set Winter Wreath by Avery Elle. 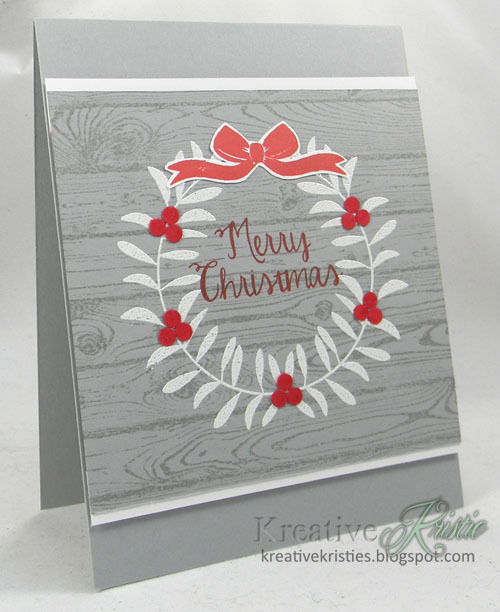 I stamped the woodgrain background stamp using Basic Gray ink on Smoky Slate cardstock. Embossed the wreath using white embossing powder and punched out the berries using a circle punch. I stamped and fussy cut the bow that comes with the set. 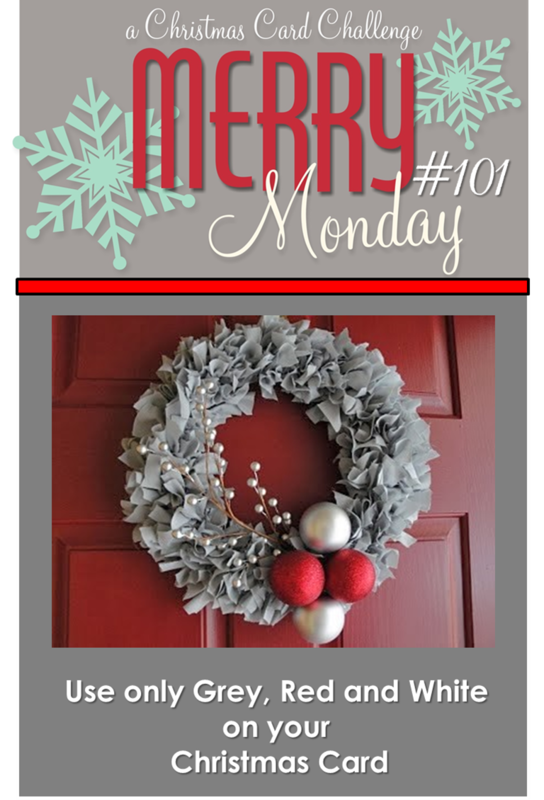 Make sure you pop on over to the Merry Monday challenge blog to see what gorgeous creations the other DT members have shared. Looking forward to seeing your creations in the gallery! Have fun! Hi friends!! Today I am joining in the celebration for Maria F. over at Rieslingmama - it's her birthday!! 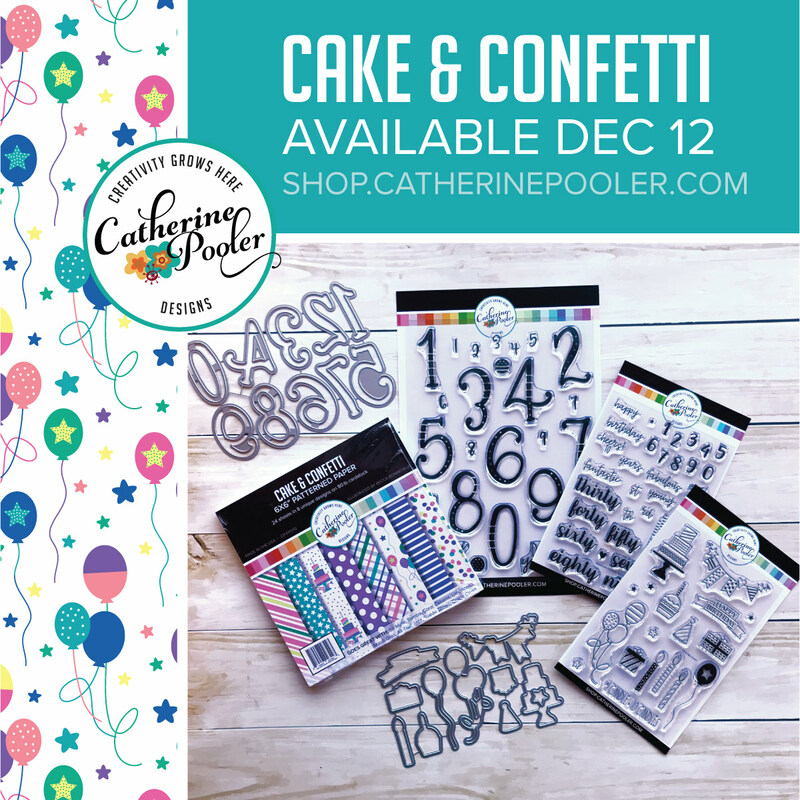 Shirley is hostessing this birthday card party and has a Linky over on her blog [Shirley-bee's stamping stuff] with all the cards!! I have seen lots of cards on Pinterest using this stamp set with paper piecing so I had to try it out myself. I love how it turned out and I hope Maria likes it. Thank you for hosting Shirley and inviting me to join in. Have a terrific birthday, Maria! Enjoy!!! 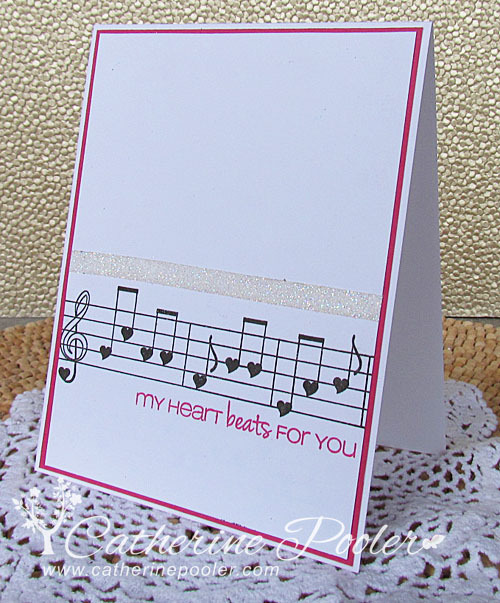 For the background I used the new wide stripes background stamp by Simon Says Stamp. I almost didn't post this card because it didn't stamp perfectly but the "distressed" look is growing on me. 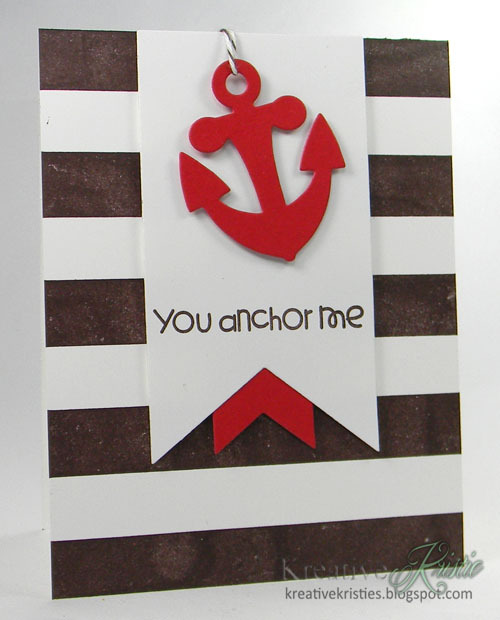 ;) I love the nautical stamps and dies that are out there especially this anchor die by Paper Smooches. So fun. Happy Friday!!! 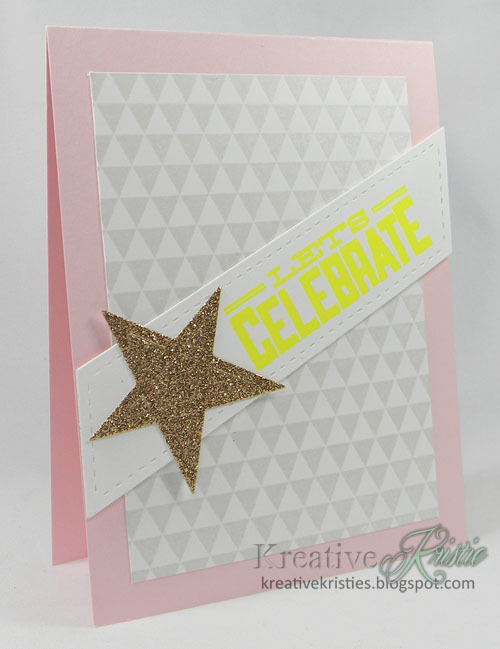 This week's challenge at StampNation was to use stripes. I will be adding this card to the challenge thread even though I have already made a card as a DT member. 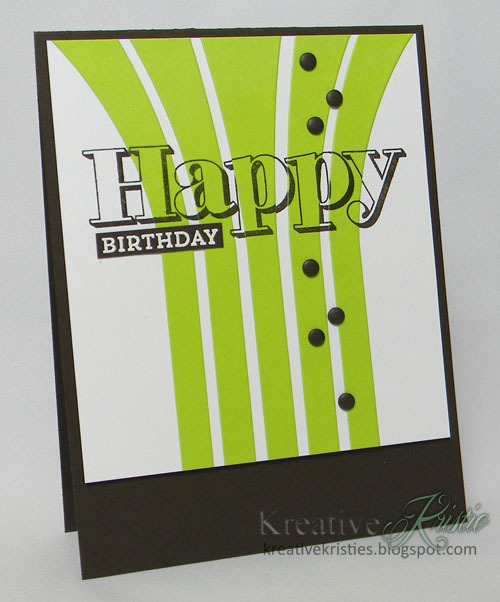 This card is completely different than the one that I made for the challenge. I love the colors in the Winter Frost DSP by SU! It has silver stripes that are beautiful in person. 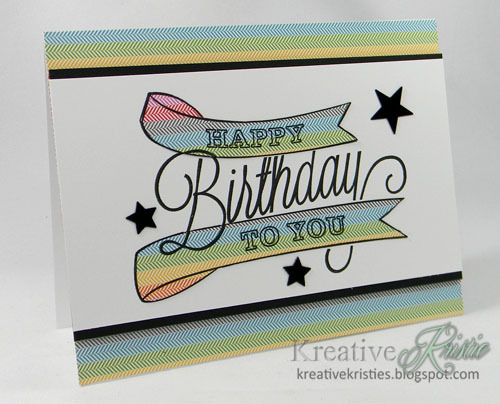 I used the new silver foil paper to layer behind the circle using the starburst framelits. The sentiment comes from the Verve set Merry & Bright. Can you guess which card is mine? Not a StampNation member yet? What are you waiting for? Hi friends! Happy first day of spring. I am not sure where you are, but we woke up to 6 inches of new snow this morning and it is still snowing. :( I am soooo ready for spring to arrive! I guess the snow does help me get my Christmas cards for this year completed. Yes, I have almost met my goal. I am going to continue to make them though. For my card today I got sketchy with My Favorite Things. Happy Monday friends! 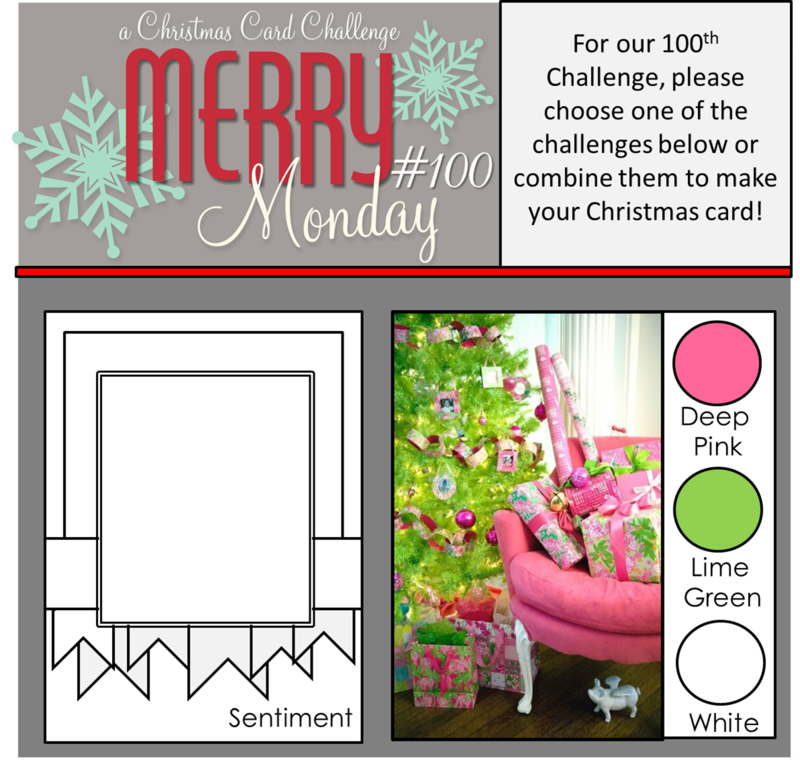 This week is Merry Monday's 100th Challenge! Lesley chose a fun challenge for everyone and we welcome a new teammate! I chose to work with just the colors. 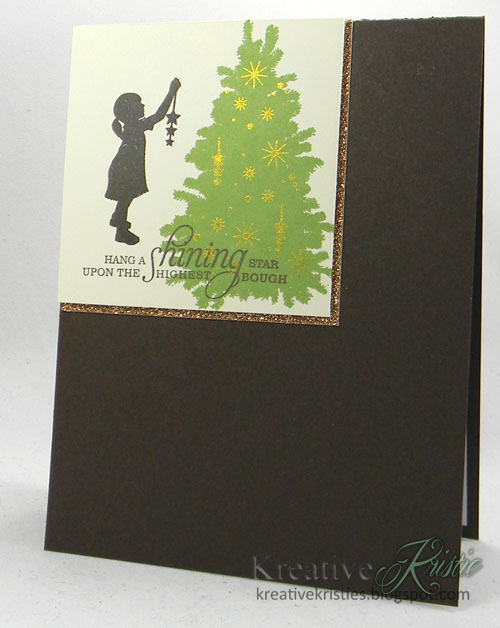 These colors were perfect for this trendy tree die from Simon Says. 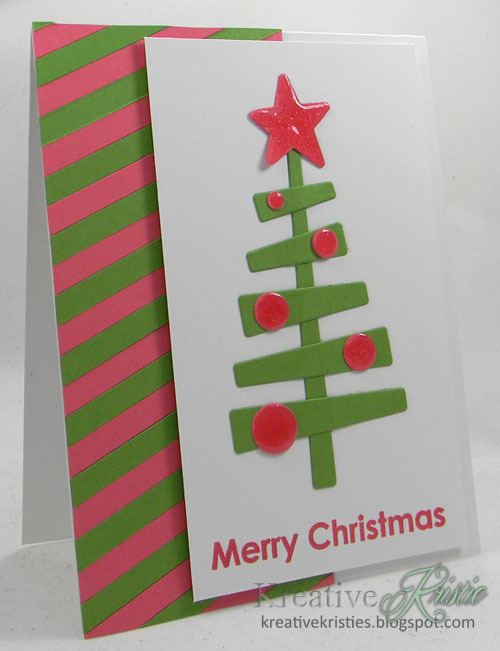 For the stripes, I cut strips of green and pink paper. Glued them onto a scrap piece of paper and attached to the side of my card. Happy Saturday friends. 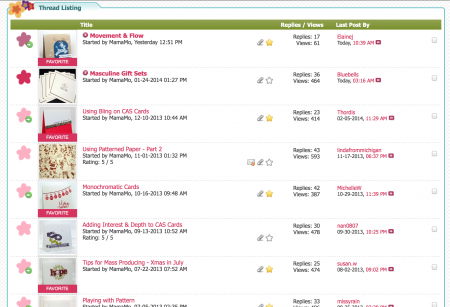 Did you all know that there is a "Classroom" on StampNation? 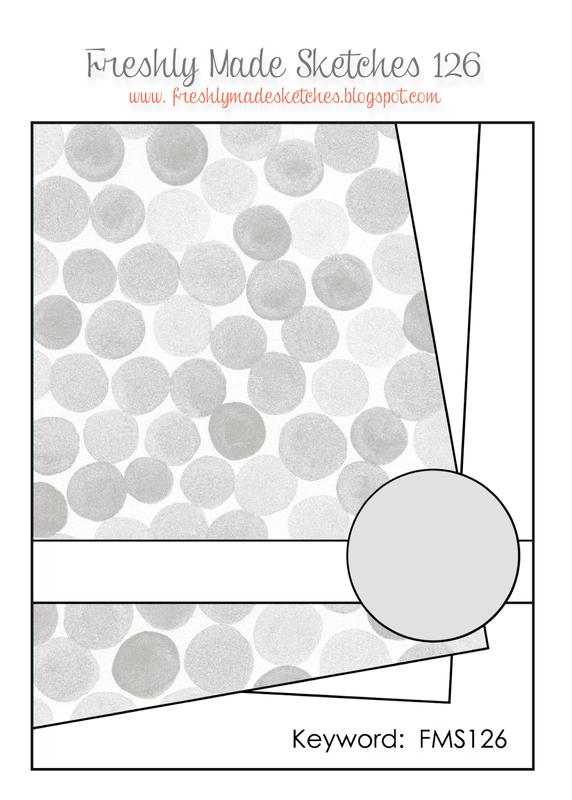 In the Classroom you will find tutorials, sketches, lessons and more to help you become a paper crafting rock star! One of the classrooms is taught by my good friend, Maureen from Mama Mo Stamps! 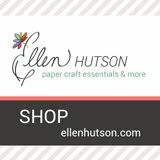 She teaches all about Clean & Simple card making. 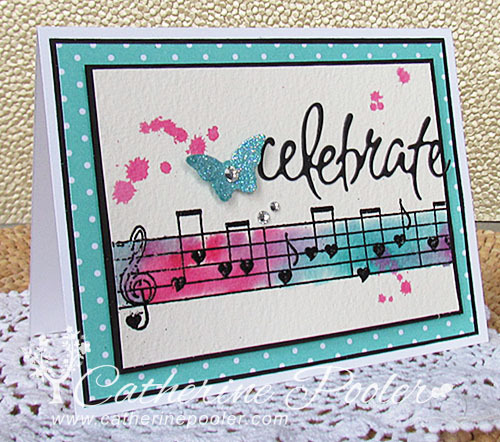 If you have visited Maureen's blog you know she rocks CAS design. 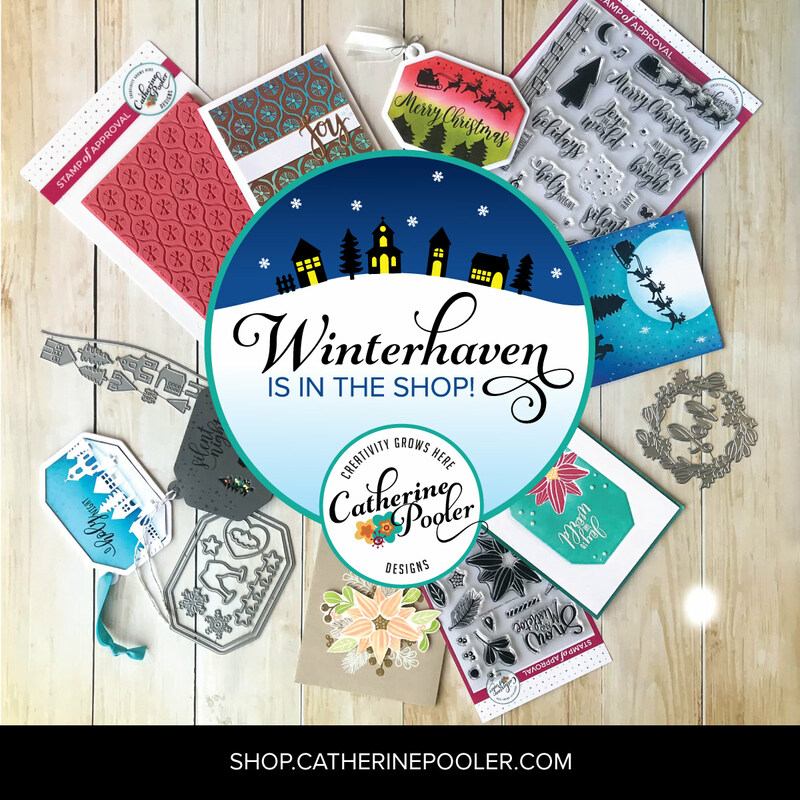 the most amazing community of world-wide paper crafters on the internet and so much more! CLICK HERE TO JOIN & LEARN MORE ABOUT MEMBERSHIP BENEFITS! Hi friends! This week's sponsor at StampNation is Tattered Angels! 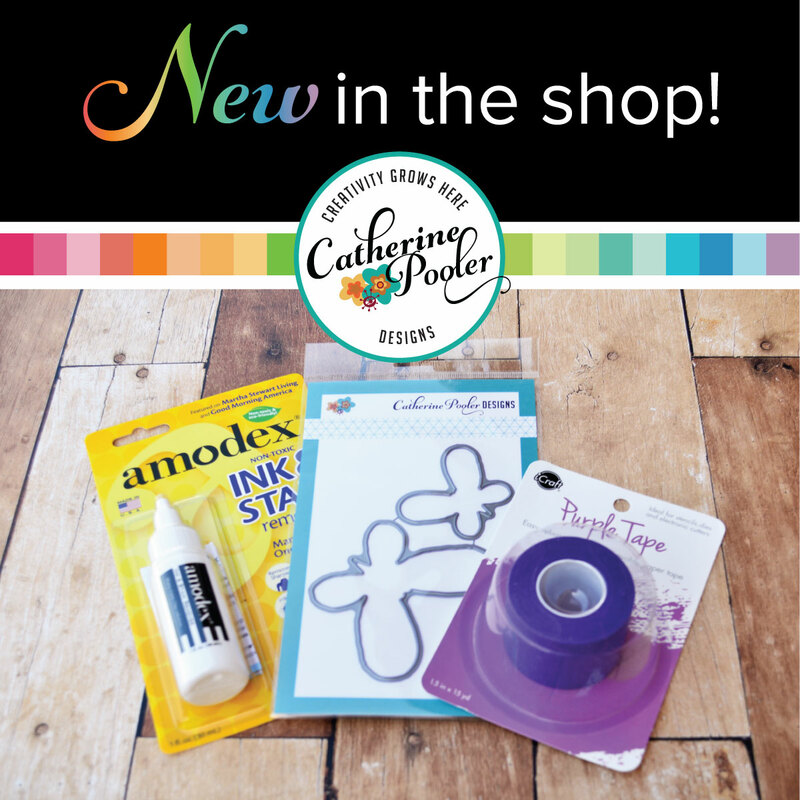 The Design Team was lucky enough to get a box of goodies from the new Tattered Tangles line along with some paints and other fun goodies. The new line consists of fun doodle designs. 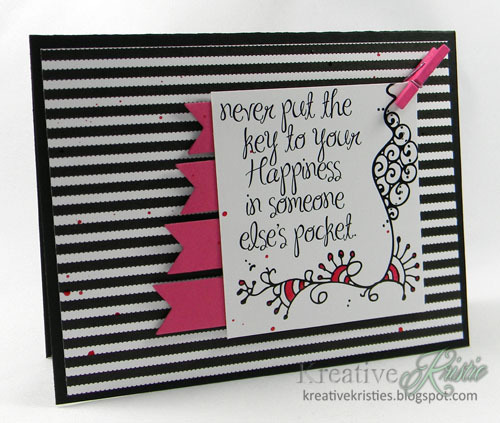 I used one of the fun sentiment designs, the black and white striped paper, the Paradise Pink Glimmer Glaze and the cute pink clip on my card. 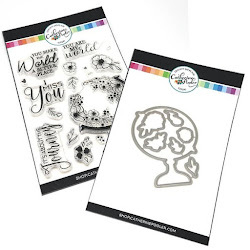 The challenge for this week at StampNation is DOODLES! Sneak peek of the Design Teams projects. 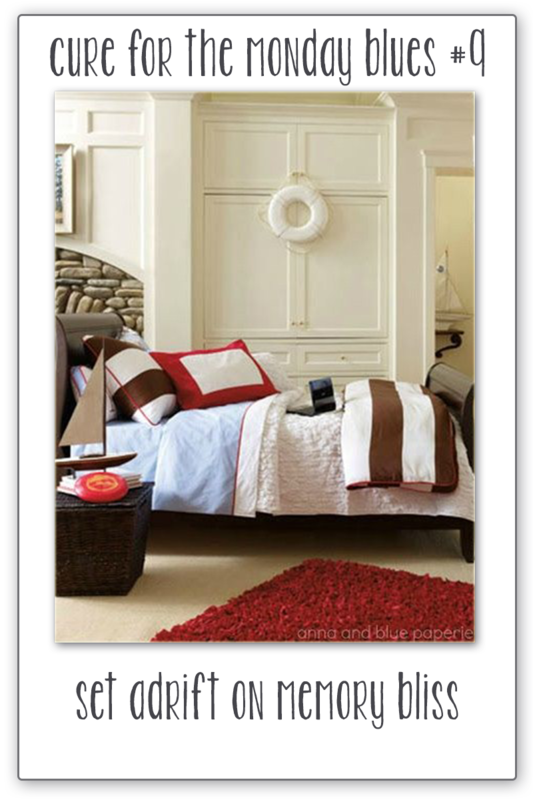 Tattered Angels has generously offered a prize to one lucky person! 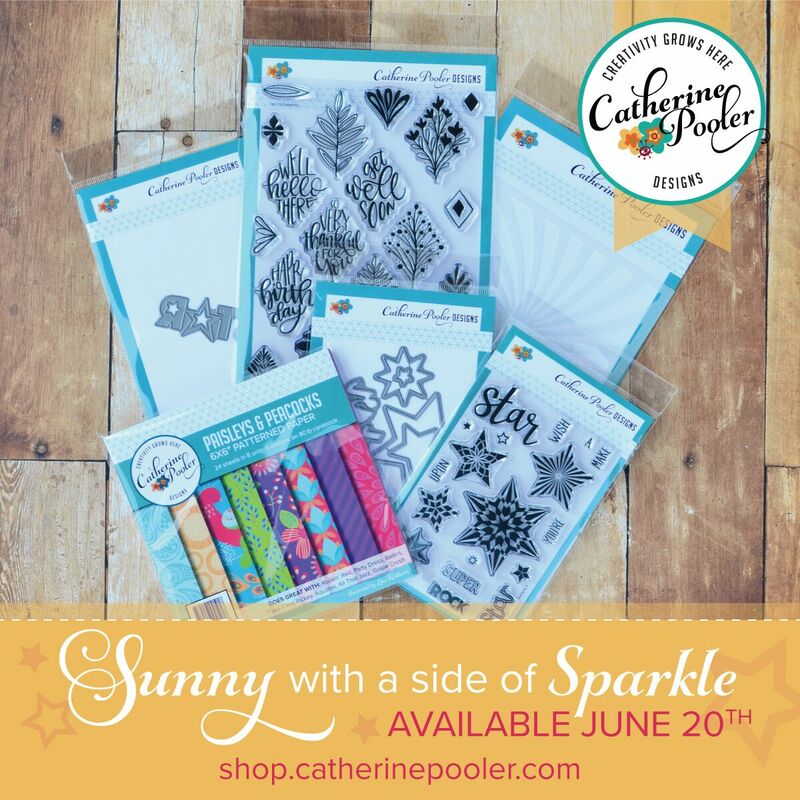 Click here to visit Catherine's blog for your chance to win the entire line of Tattered Tangles plus an assortment of paints! 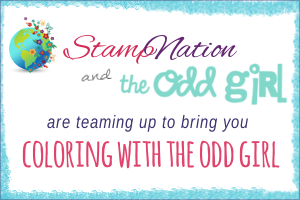 There is also a prize up for grabs for StampNation members that participate in the challenge. Not a member yet? Click here for membership details and to join now! 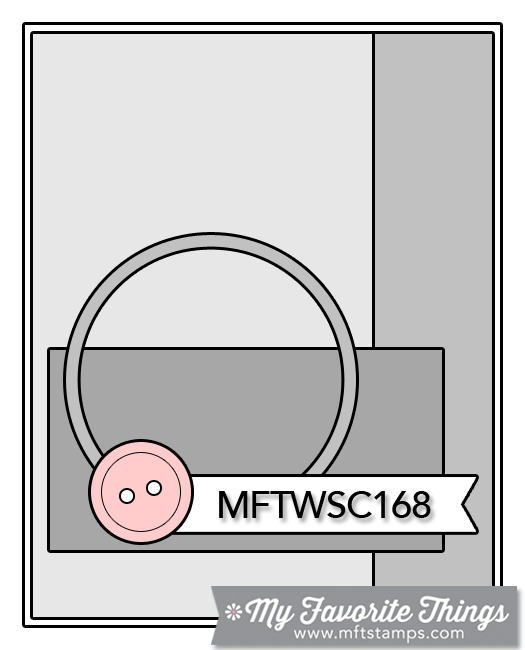 My card above was inspired by the sketch over at Freshly Made Sketches. Happy Thursday! Have you all seen Taheerah's Cure for the Monday Blues challenge? This is my first time playing along. I loved the colors in the graphic for this week. I used the sketch from My Favorite Things. 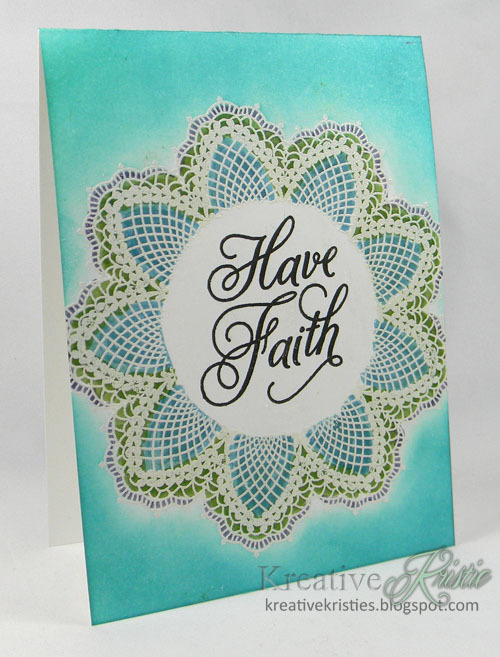 My second card was created using the masking technique Jennifer McGuire shared on Day 3 of Online Card Class: Clean & Simple 3. I had to use distress inks on the background to cover up some fingerprints. OOPS!! Not sure I love the blue background but I am sharing anyway. Thank you for visiting and have a great day! I will be back a little later with another post, stay tuned!!! Hi friends! Just popping in quickly to share my card inspired by this week's MUSE: Therese Calvird. My inspiration came from the bike. I pulled the red from Therese's bike for my card base. 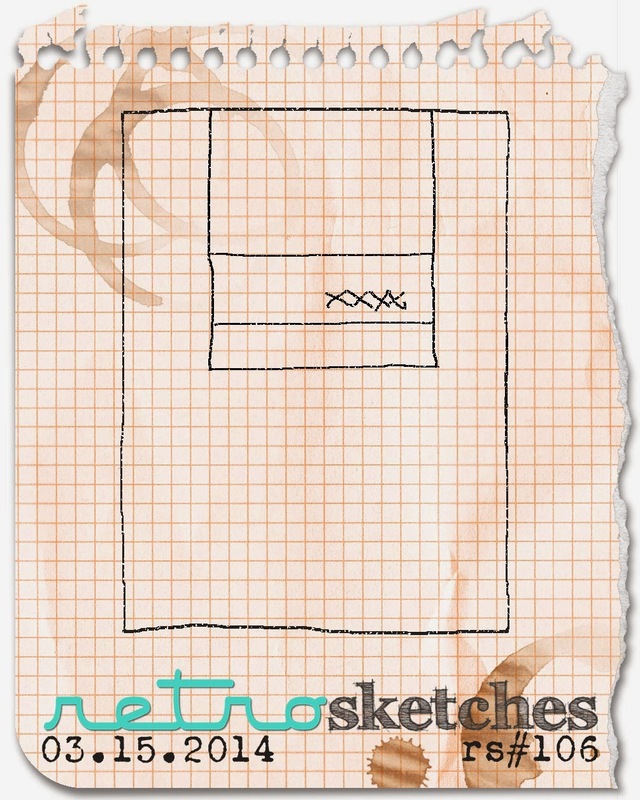 I also used Sketch #4 from the Online Card Class: Basics & Beyond! I love using sketches for my cards and in this class there are 10 different sketches to choose from. It is a great class for the beginner and intermediate stamper. Happy Birthday for The Card Concept! Hi friends! I had some time to create a card for The Card Concept Challenge. Here is the yummy photo. 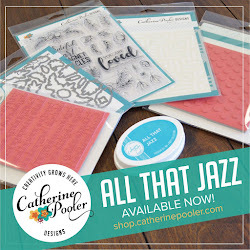 I am loving the candy dots by Stampin' Up. I thought they mimicked the shape of the pops from the photo. 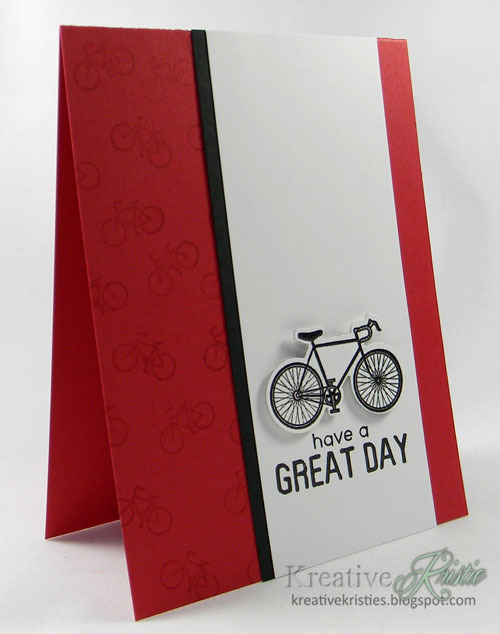 This makes a great masculine card with its clean & graphic design. Happy Monday friends. 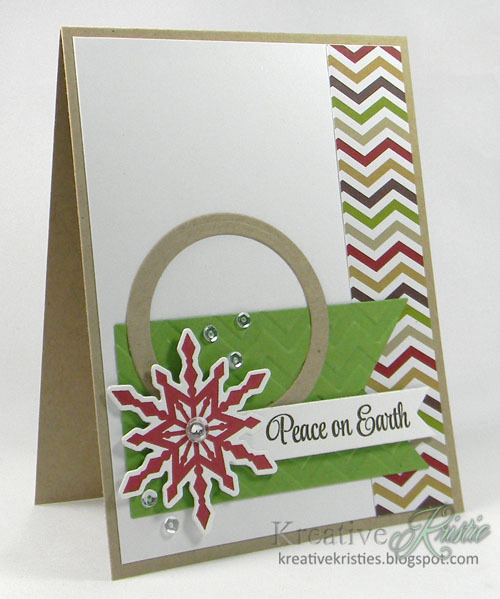 It is time to add another Christmas card to your stash for 2014. 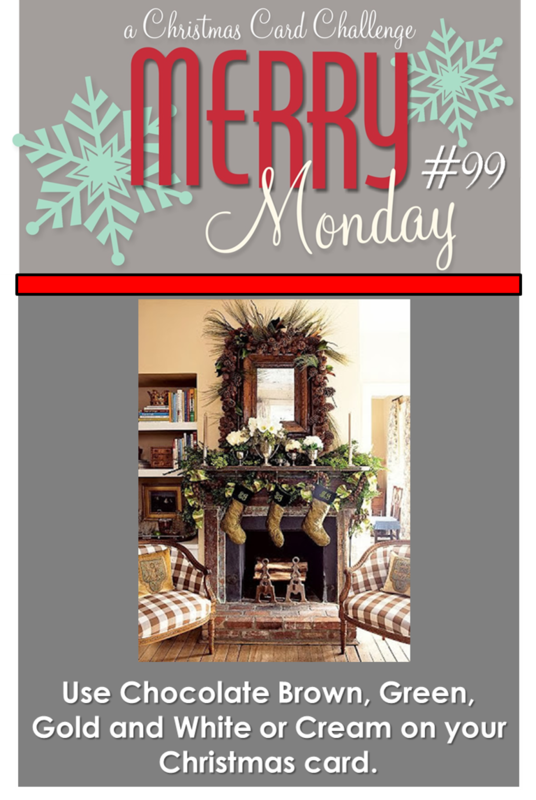 This week Margaret Moody is our hostess at Merry Monday and she has a color challenge for us, Chocolate Brown, Green, Gold, & Cream or White. Very pretty color combo. I used Retro Sketches #102 for my CAS card. 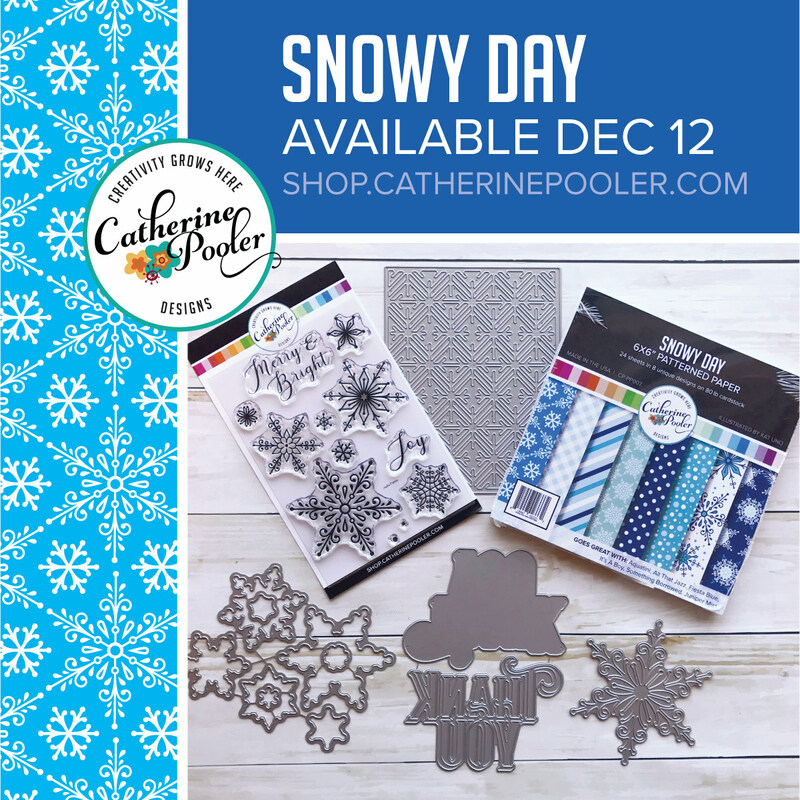 Make sure you pop on over to the Merry Monday challenge blog to see what gorgeous creations the other DT members have shared. Looking forward to seeing your creations in the gallery! Hi friends. Happy Friday! 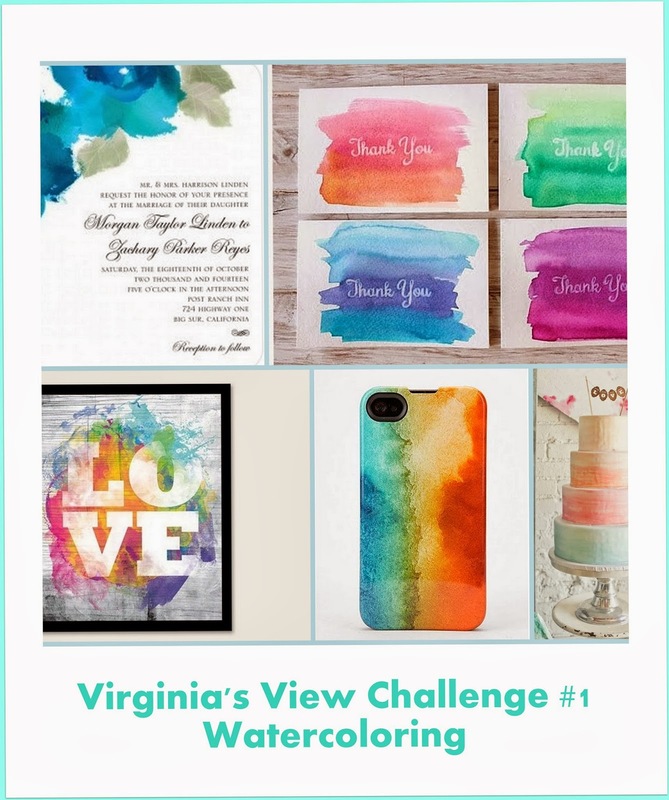 Sharing a card for CAS-ual Friday challenge: Shades of Gray and Virginia's new challenge: watercoloring. I love using my Distress inks to get a watercolor look. 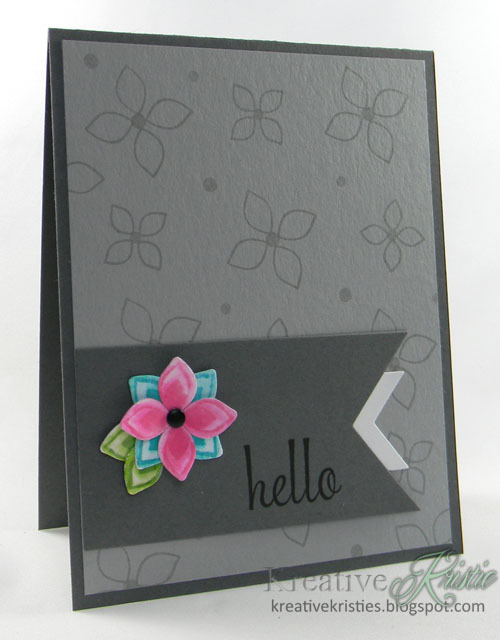 I die cut the flower using the Four petal die from CAS-ual Fridays. 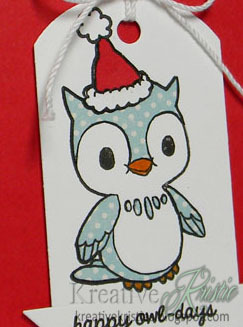 I then stamped using my distress inks, spritzed with water and let dry. I love the pop of color against the gray. Hi friends. Sharing another Christmas card today. It is still freezing cold in the North East so I am plugging away at my Christmas cards. I find it a little harder to make them when it is stifling hot in the summer months. 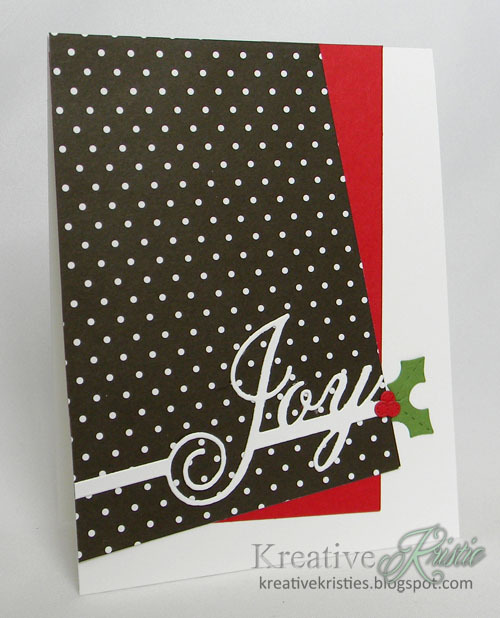 Now that I see this card on my screen, I think the holly leaves are too small. :( What do you think? I followed the sketch over at Freshly Made Sketches and the visual at Festive Friday! Don't you just love that visual? 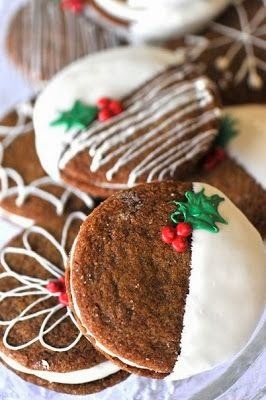 Those cookies look so good!! Hi friends! I have a very special guest artist on my blog today. 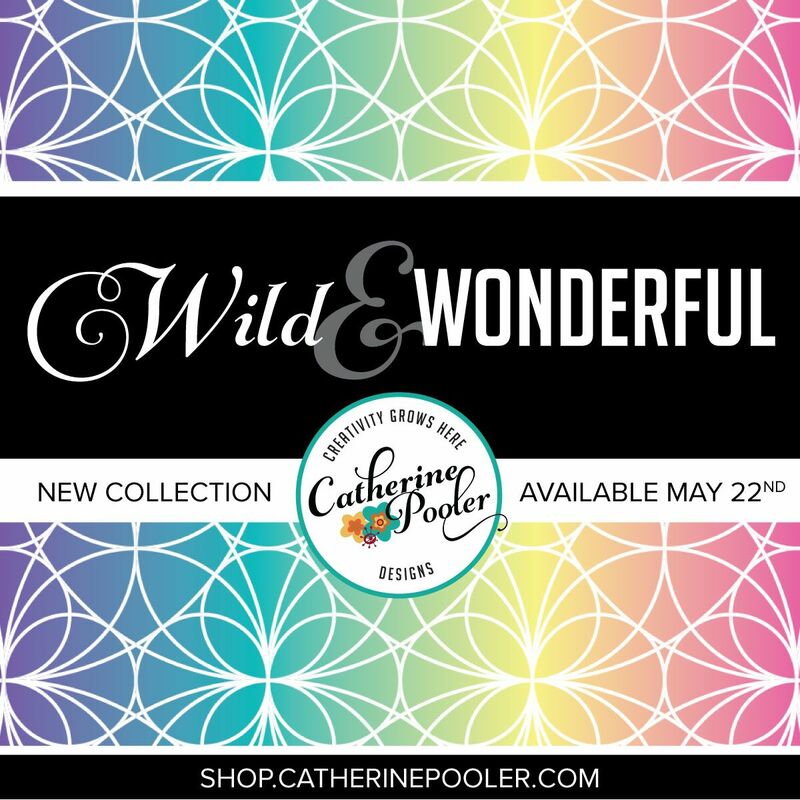 My friend and the founder of StampNation, Catherine Pooler. 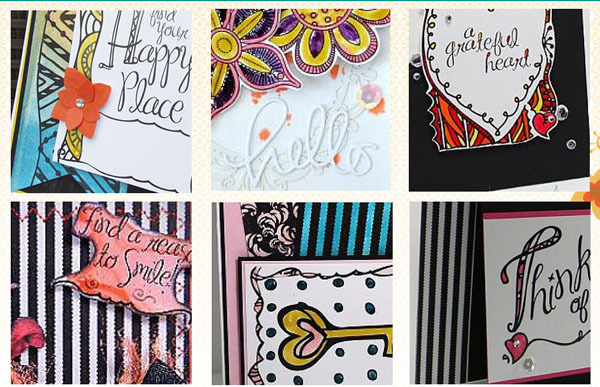 I am excited to share some of her cards and a video today. She is sharing a Basic card, then she is going to show you how to take the same idea and go Beyond! you will love the Online Class, Basics & Beyond! CLICK HERE FOR REGISTRATION AND MORE DETAILS!! 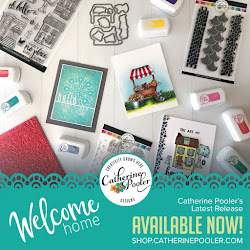 This class is a fabulous resource for the beginner and intermediate stamper! 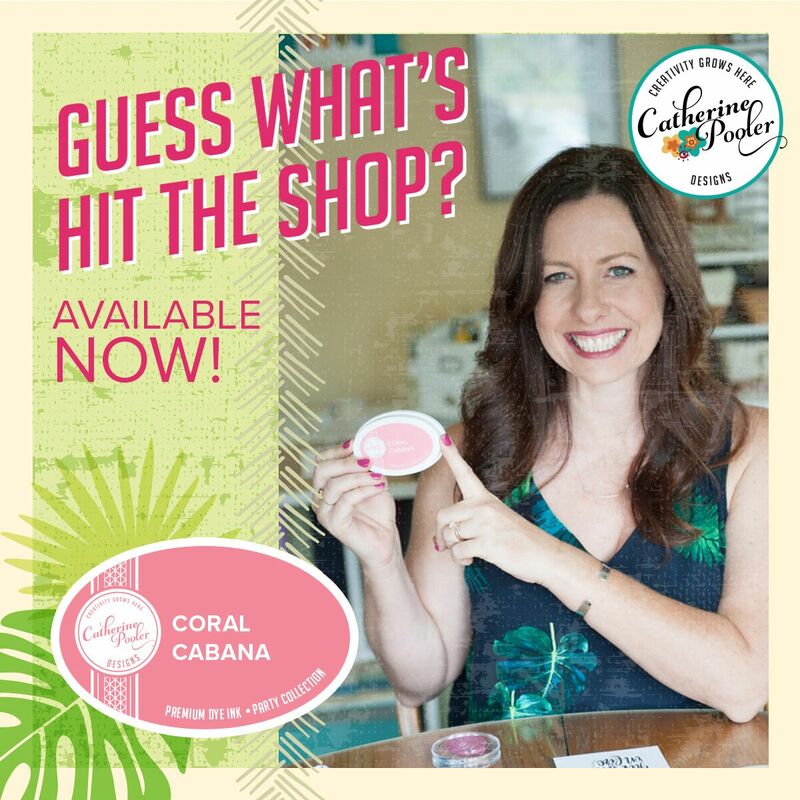 StampNation members get a 50% off coupon code. Not a member? Join now, then grab your code! Already joined the class, make sure you check out the Bonus content added yesterday. I have a Basic card, then I’m going to show you how to take the same idea and go Beyond. Sound familiar? yeah, that’s the idea of our new class: Basics & Beyond! Hi friends. Time for this week's Merry Monday challenge. 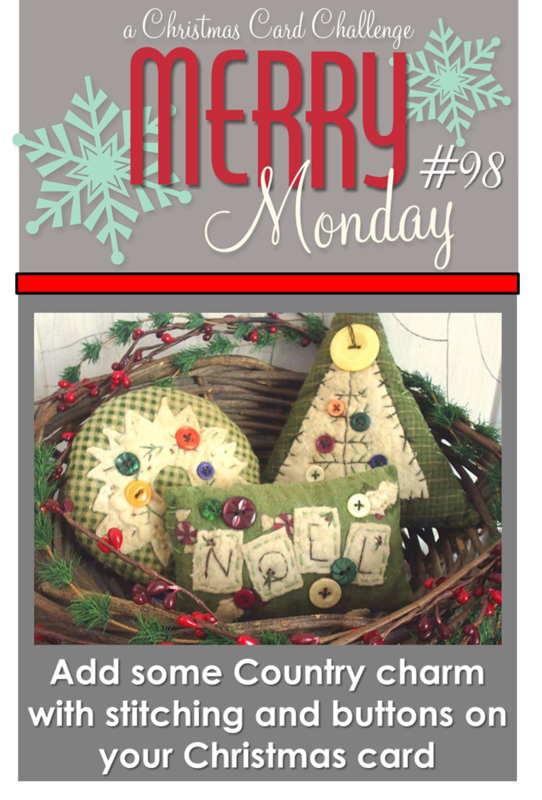 This week we want you to add some Country charm to your Christmas card by adding stitching and buttons. 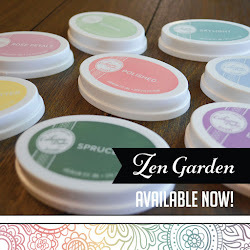 If you visit my blog often you know I love these stitched dies from Lil' Inker Designs. They add such a great detail. I am not that good with my sewing machine, especially stitching a straight line. :) To keep my card flat for mailing I used the set Stitched Stockings by My Favorite Things to stamp the stocking and buttons. I added some glossy accents over them to make them look more like real buttons. 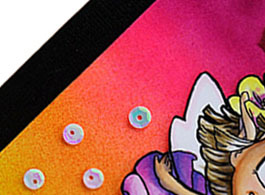 The background piece also has some stitching details, I used the set Quilt Prints from Wplus9. Hi friends! I am participating in this week's challenge Birthday Celebration at Wplus9. 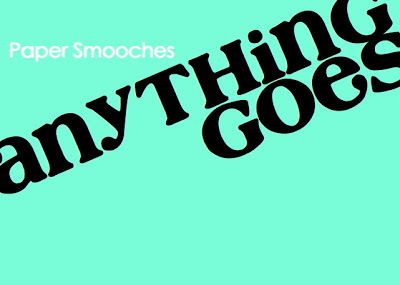 This week Dawn wants us to "stretch it" and make something outside of our comfort zones. 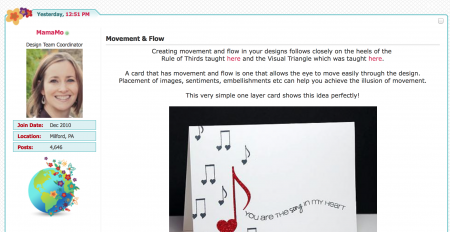 If you visit my blog often you know I like to make Clean & Simple cards. 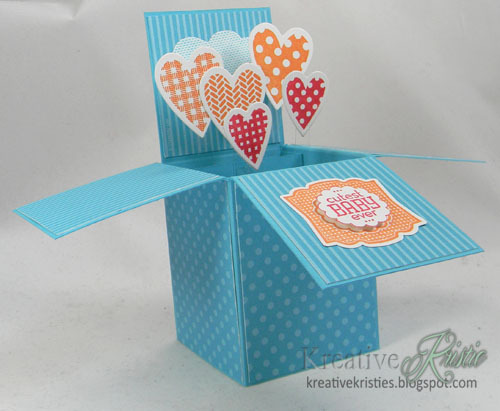 I have seen these cute box cards all over blog land and have been wanting to make one. They seemed too complicated and I thought they would take too long to put together. Surprisingly, this was pretty easy to do. It does take some time though. I love that these fold and fit into a reg. 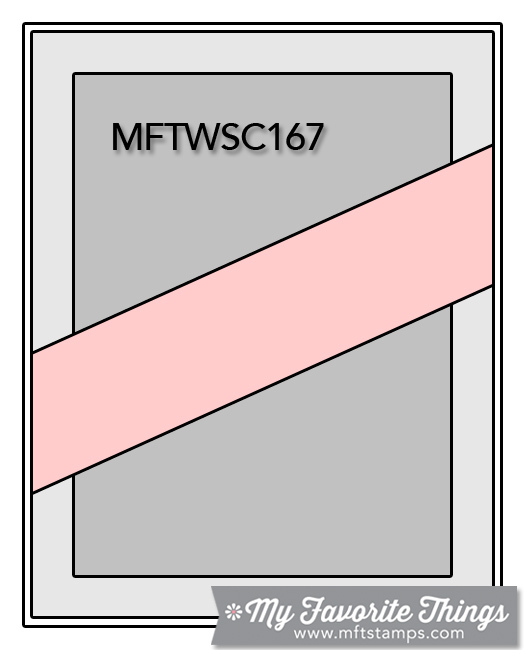 size envelope. I used my color coach for the color combo. 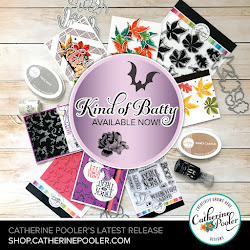 Check out my Stamps for Sale page here.